Guess these vocabulary words that start with the letter L.
They are also found in North Carolina, Switzerland and Jersey. But they are only native to Madagascar. What is God's name is a Larder? Never heard of that. Given that Hawaii is approximately 12,000km from me, it's amazing that I actually know two 'L' words pertaining to Hawaii - Luau and Lei. Unfortunately the quiz asks for a third. It's about half that distance for me, Larry, and those are the only two "L" words I know for Hawaii as well. I'm American and I'd never heard the word until we went to Kaua'i and spent every morning eating breakfast on the one outside our condo. One can build a similar porch, deck, terrace, or veranda on the mainland, but it just doesn't seem the same as a lanai in Hawaii. Oooh, that was the internet equivalent of being formally slapped across the face with a pair of white gloves. If the were levedores that would work. Never heard of "Longshoreman". In Australia they're "wharfies" or stevedores. That's an odd name! 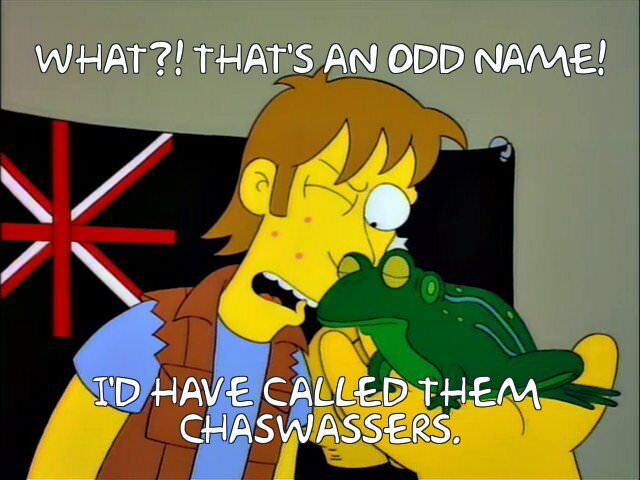 I'd have called them chaswassers! I tried 'lite' for beer... D'oh! Can locker be an acceptable answer for a pantry? Not exactly the same but a lot more common and less archaic than the answer. I've heard the term food locker a lot more than I have the other one. Interesting, I have heard larder a lot but have never heard of food locker. Where are you from? That was my first thought too, but I already know that the argument is going to be the clue. It says "person" and laity is a group. Huh. I always thought "links" was just general slang for a golf course. So did I. I know in Scotland the first golf started in the middle of my city and not near the sea, shores of an old loch though. It sort of makes sense since lots of Scotland is near the coast with sand and St Andrews is definitely by the sea. Links, apparently is a type of land, upon which golf became most played. Sometimes the word links is used as a general term, but there is a real difference between links golf and parkland golf. Parkland courses are the ones that are carefully manicured with artificial bunkers and water features, and the only changes from one day to the next come from placement of the cups on the greens. Players can develop a strategy for each hole. Links courses are usually near the ocean with undulating dunes, wind, and natural vegetation but few trees, and the course isn't so immaculately groomed as a parkland course. Because weather can change the shape of the course, it isn't as easy to develop a regular strategy for play from one week to the next. Guess if I had ever lived close to the ocean, I'd have a better chance of knowing the difference. suprised that only 93% got lemur! Probably Americans. In UK we use the same word as you do. The Nobel prize isn't just for literature, and not all Literature winners are novelists. All Nobel Prize winners are referred to as Laureates.